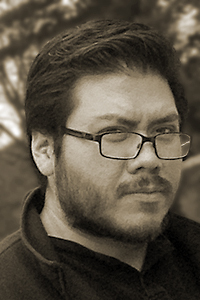 Rodney Gomez’s work has appeared in Fourteen Hills, Denver Quarterly, Nimrod, Devil’s Lake, Salt Hill, Barrow Street, and RHINO, among other journals. He earned an MFA in creative writing from the University of Texas–Pan American and a BA from Yale University. Gomez was a 2011 CantoMundo Fellow and has received residencies from the Atlantic Center for the Arts and the Santa Fe Art Institute. He sits on the board of Migrant Health Promotion, a nonprofit organization dedicated to improving the health and well-being of migrants, immigrants, and related populations.